Best solution for mail marketing. 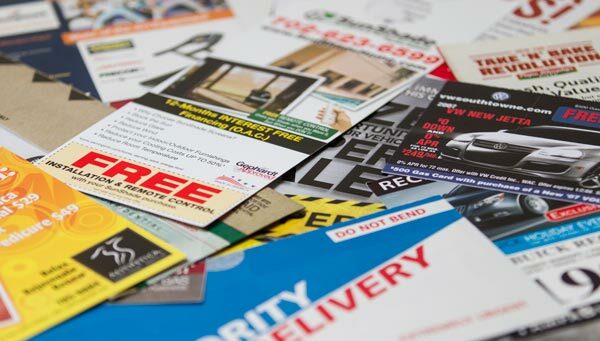 Utah Media Group offers businesses the chance to reach hundreds of thousands of new potential customers through mail marketing. Our state-of-the-art printing presses, veteran support team and digital experts offer clients the best solution for mail marketing. Consistent Delivery: Utah Media Group’s proprietary database ensures that advertisers can reach high-value readers throughout Salt Lake and Davis counties. No matter your business or product, Utah Media Group can direct your business right to your ideal customer’s doorstep. No other mail marketing service can deliver targeted new customers like Utah Media Group does. Exclusive Customers: Utah Media Group provides an opportunity for your business to find new customers every week of the year. Other companies can’t deliver that type of consistency. For example, during the Thanksgiving blitz — the most important retail week each year — Utah Media Group can deliver mail marketing to your customers at least twice a week to maximize your holiday bottom line. Flexibility: Utah Media Group facilitates businesses to reach more customers, more often — better than any of our competitors. No other mail service can offer delivery more than once a week. Utah Media Group can deliver your message seven days a week. Combine mail marketing with Utah Media Group ’s other advertising services and we can be as broad or targeted as your business needs, as often as your business requires. Agency Services: Utah Media Group can create, customize, deliver and direct any message for your business from beginning to end. Our accommodating staff and knowledgeable experts will guide your business through every step of mail marketing to maximize your ROI. Direct Mail Works: Through advertising opportunities in weekly publications that Utah Media Group mails to thousands of potential customers in Salt Lake and Davis counties to targeted direct mail services to your individual customer, we can provide turn-key marketing solutions to any business — big or small. Reaching new customers is now even easier with Utah Media Group. With Utah Media Group’s shared mail you can target specific potential clients through zoning. You can place your ad in specific zip codes and by using sub-zip codes, divided geographically or demographically.